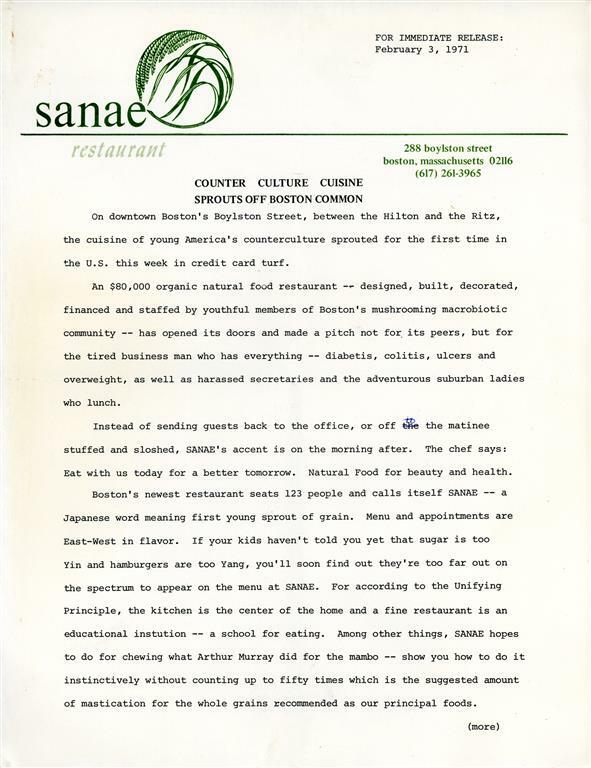 Original Menus from Sanae & Seventh Inn Restaurants - Michael Rossoff, L.Ac. 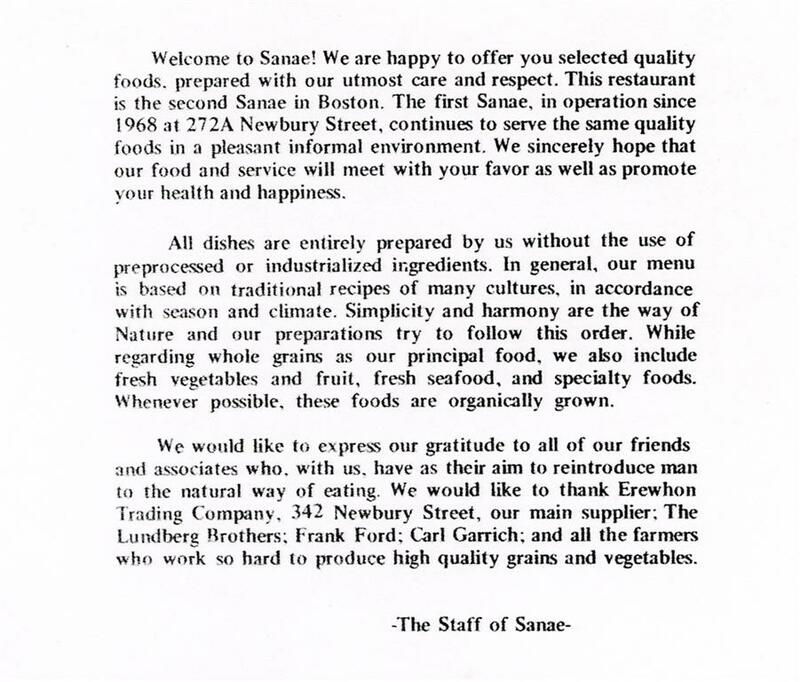 I moved to Boston in 1969, lived in several study houses and worked in Sanae restaurant (as dishwasher, short order cook and then finally as head chef). 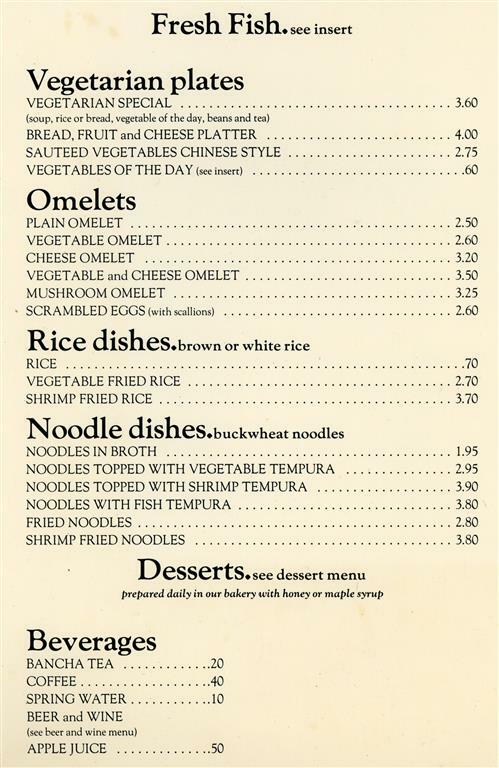 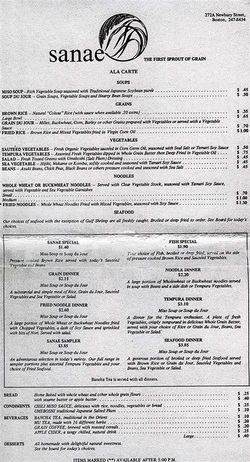 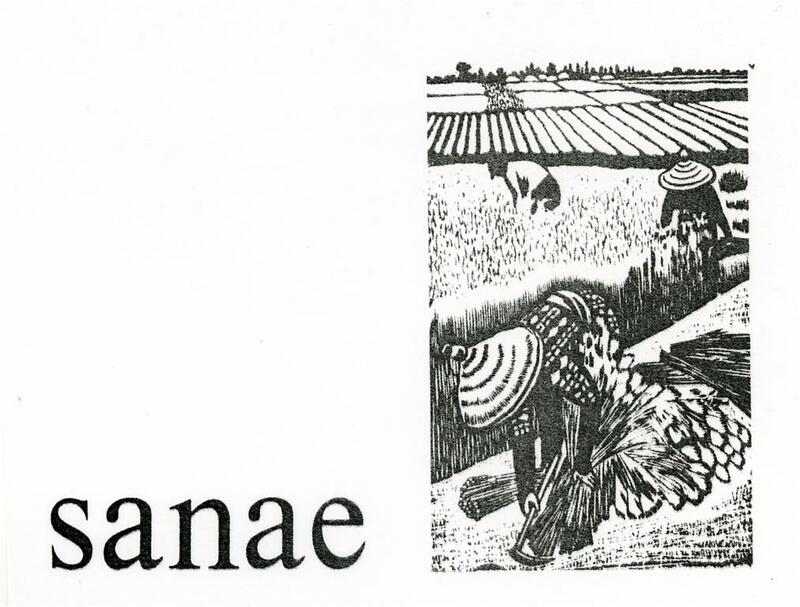 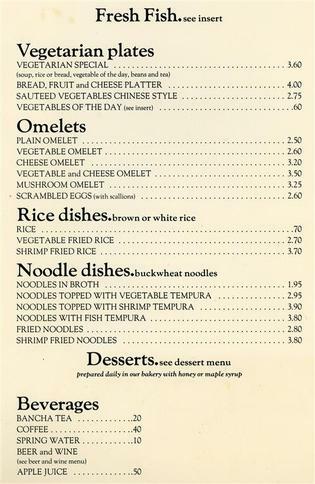 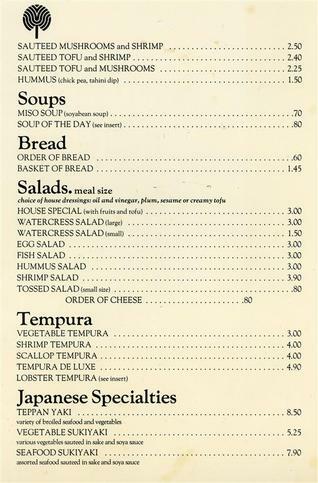 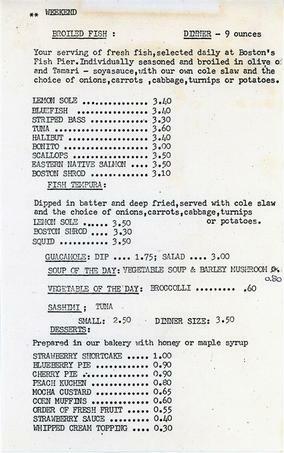 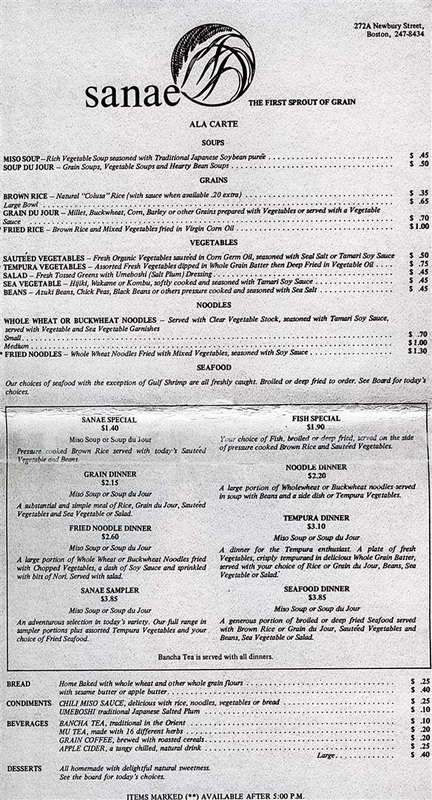 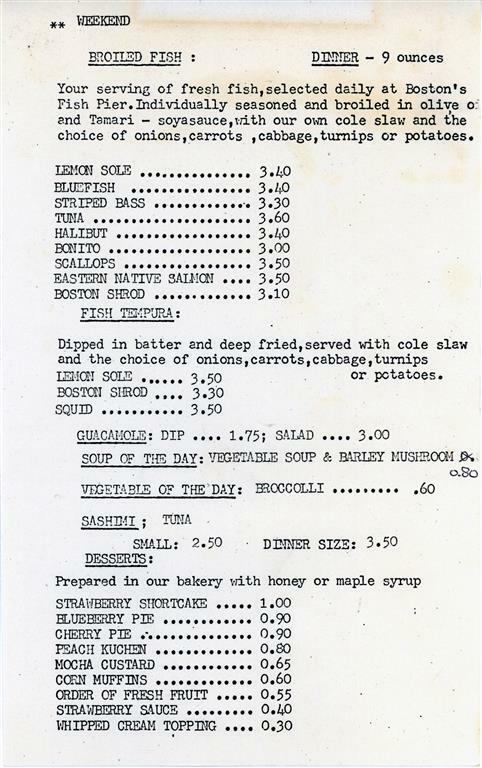 Here is Sanae Restaurant's promotional and menu from 1970. 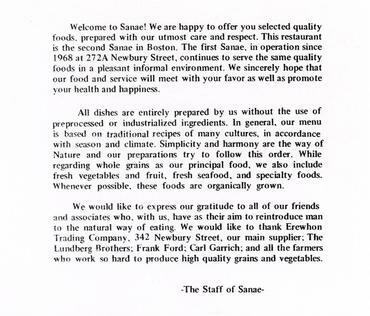 While I continued to work at Sanae, the macrobiotic community opened a second restaurant in the heart of downtown Boston. 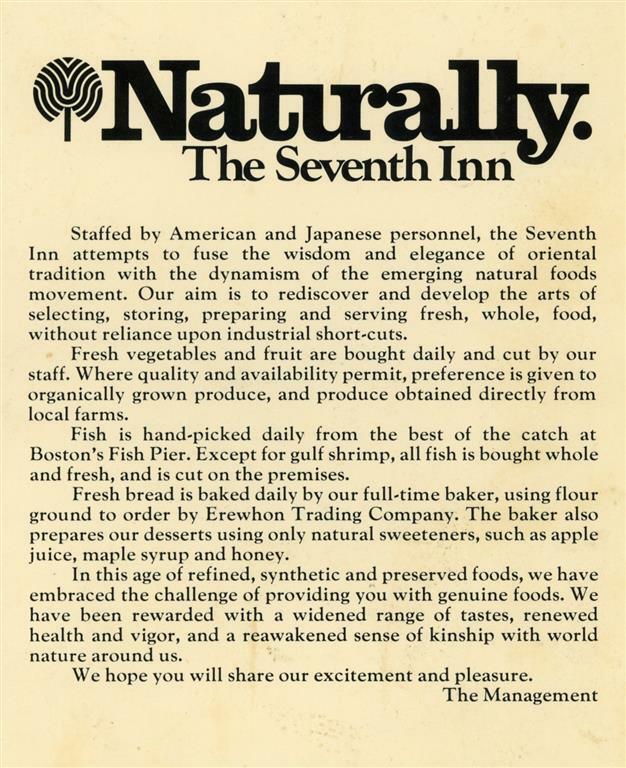 It was large, well equipped and elegant. 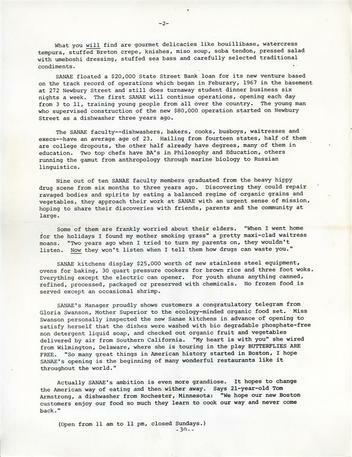 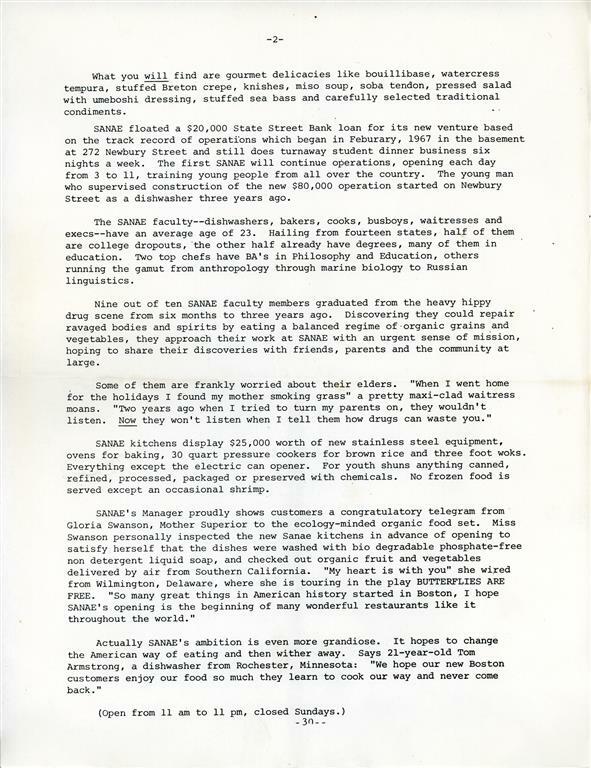 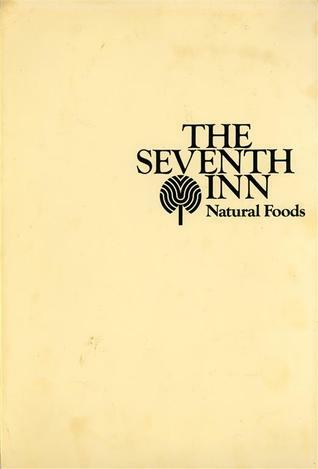 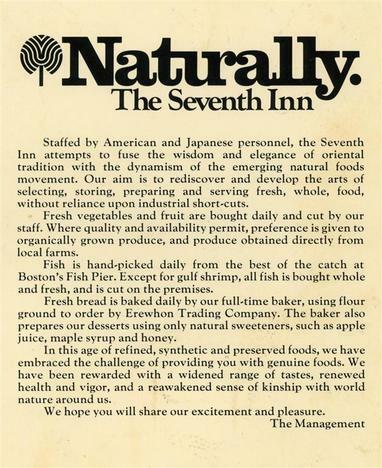 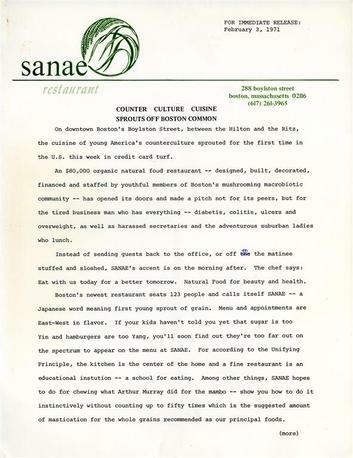 Here is the original press release for the Seventh Inn, on the letterhead of Sanae Restaurant, followed by the original menu.